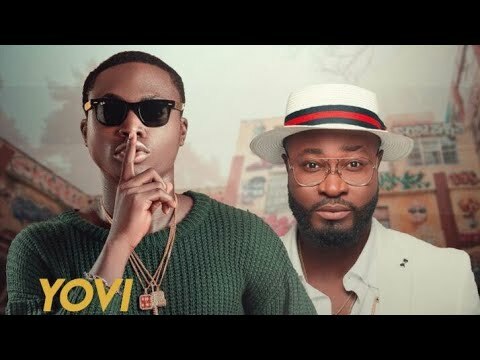 In the last quarter of 2017, Yovi dropped such stunners such as the love-inspired “All For You“ as well as “Amen,” which featured heavyweights in the game including YAGI‘s Lil Kesh and DMW‘s Mayorkun. He’s now picked up where he left off from with a party-ready tune and club banger that he titles “Osha Pra Pra.” Plus, with the abundance of urban drive that he recruits on “Osha Pra Pra,” it is one that is set to appeal to the streets as well. In fact, “Osha Pra Pra” already looks set to become the new slang for solid and sturdy from whichever angle you choose. The fact that the record was produced by leading producer, KrizBeatz The Drummer Boy, can only add further buzz to its depth. Yovi whose real name is Uchenna Ayobami Agu continues to repay the faith of label boss, Reminisce and his versatility shines through yet again as one who definitely does hold the X-Factor. We have had “Osha Pra Pra” on replay mode ever since and it looks like the weekend just came in rather early this week. You can also join in the feel-good jolly and grind. Simply stream, download, then remember to share your thoughts and opinion in the comments section below.